In my speeches and workshops, I share my own personal experience of my diagnosis of Multiple Sclerosis that led to a paralysis on the entire left-hand side of my body at age 29 years old. With the odds stacked against me, I had to change my mind about what was possible, when I had no choice but to succeed. Today we will focus on Happy Mind. Every day you will wash your body because you know that it gets dirty. How do you wash your mind daily of negative thoughts, old ideas and patterns? Your mind is connected to your body, you would have experienced this when you feel nervous and your digestive system or urinary system plays up. Your mind is connected to your biochemistry, you would have experienced this in times of stress when your run, hide or fight mode switches on. How you perceive your environment is a mirror image of what you are believing in your mind. Your reactions will always give you a clue as to what you are deeply believing about yourself and your circumstances. An example of this is a new Mum noticing more baby adds, conversations and books everywhere. They were always there, however we tend to notice in our environment, what we are focused on. Because of your reticular activation system in the brain, what you are focused on is what you will notice more of around you. For example if you were to buy a new red BMW you might feel as though all of a sudden there were many more on the road than you had noticed before. What is actually going on is red BMW’s are now more in your focus so you are noticing more of them around you than you had prior. This is also what happens when anger, fear or self doubt is your focus. You will find more evidence of this around you. How you think and feel is so important and dictates how you perceive your environment. When I was in my 20’s I was living in fear of my future, and I believed that I had a short time to enjoy my life because of my diagnosis. As a result my outer and inner world mirrored these thoughts and my worst fears were finally realised at age 29 when I became paralysed because my disease progressed, inflaming the motor skill area of my brain. I had to change my mind and what I believed to get different results. The minute I started to focus on what I wanted instead of what I didn’t want, everything changed. The trouble is when we are living in that state of ‘urgency’ and in survival mode we will go over worst case scenario’s in our head which causes us to focus on what we don’t want. The trick is to give your mind and body the right environment to switch that survival state into a rest, repair and growth mode we call ‘safe mode’. That is how The Bend Like Bamboo Method was born. 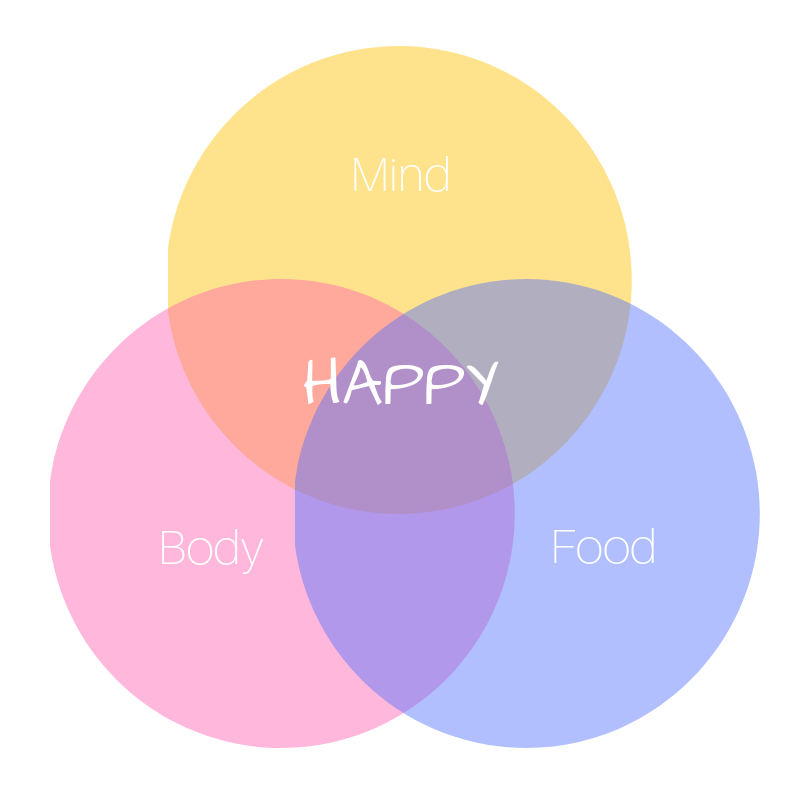 After a decade of study, research and personal experience a Happy Mind, Happy Body whilst adopting Happy Foods were the key elements that has helped me make a full recovery. I share this with my clients and it is amazing to see their inspiring results. Seek joy, it is the best environment for your mind to promote healing and growth chemistry. Believe in yourself – your beliefs mirror what you perceive and what chemistry you wire. Wash and empty your mind using mindfulness and meditation. Focus on what you want, rather than what you don’t. Rewire your brain with new habits, routines and possibility.